The Ruckus keeps it simple and never lets you lose sight of what’s most important: having fun. It all starts with the Ruckus’ tough, minimalist, tubular frame. And at the center is a dependable 49cc Honda engine with a healthy dose of power. All you need to get started is press a button, twist the throttle and go. 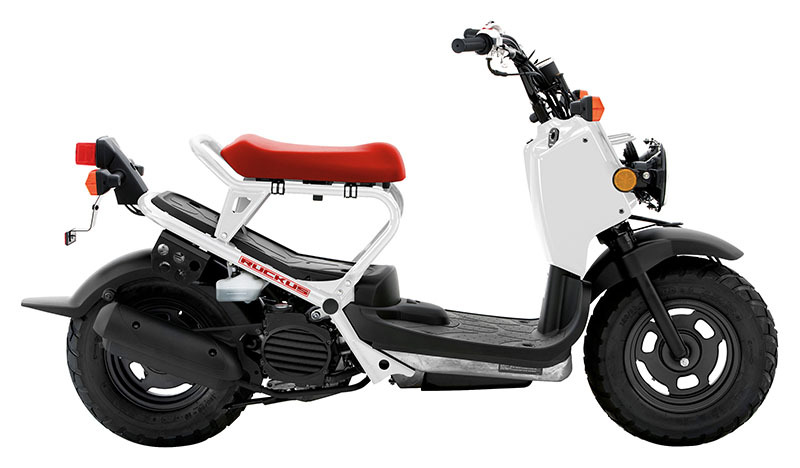 That’s because the Ruckus also features a Honda V-Matic® automatic transmission. So hop on. And let the fun begin. A STYLE ALL ITS OWN: What you see is what you get. With its minimal bodywork and rugged overall style, nothing on two wheels (or four) looks like a Ruckus.